More Horsepower! 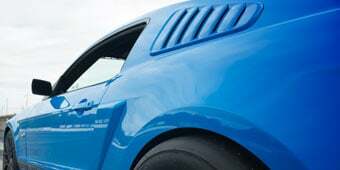 The stock V6 Mustang came with a decent 210 Horsepower and 240 lb/ft of Torque from the factory, but after installation a ProCharger-equipped 4.0L Mustang can make 55-70% more horsepower at the flywheel. Thanks to the industry's coolest charge air temperatures, the unmatched power gains are delivered with maximum reliability and everyday drivability. High Capacity Intercooler. If you have the desire to continue modding your Mustang even after adding a ProCharger Supercharger, then this is the Kit for you. 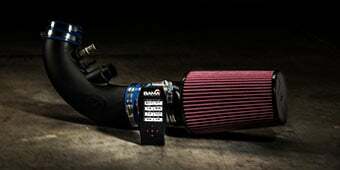 The 2-core air-to-air intercooler included with the Stage II Kit has a higher capacity than the High Output (HO) Kit. 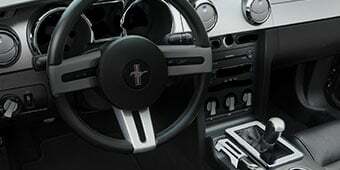 This Stage II kit will accommodate additional modifications as you continue to transform your Mustang into the highest horsepower beast possible. Complete Kit. The ProCharger Stage II Intercooled System comes 100% complete, and includes ProCharger self-contained supercharger, air-to-air intercooler, intercooler tubing, brackets, ProFlow bypass valve, 39 lb/hr fuel injectors and a computer programmer. Application. This ProCharger Stage II Intercooled Supercharger System is specifically designed for use on the 2005 to 2010 V6 Mustang equipped with the 4.0L engine. Is there any way to tune This kit to work with a bunch of mods. For instance, i have 70mm TB spacer (it works good together, i dont know how but it does), GMS coil pack, 10mm wires, Iridium tip spark plugs, Long tube headers, BBK Xpipes W/ Pypes hi flow cats, Roush Cat Back Exhaust, Performance chip, One-Piece Alum driveshaft, 8.8' rear, LSD W/ 4'10 gears, 93 Octane gas, 255 front tires 285 rear tires. would I be able to tune it to work with all I have? if not, what turbo/supercharger kit would work with what i have and gives the most HP/TQ results. If im spending 5-6k i want the most i can get. With a custom tune, this Procharger Stage II Intercooled Supercharger System can work with a variety of different components. 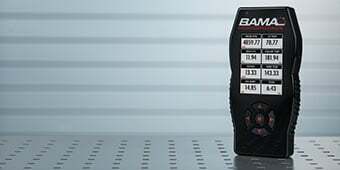 We would recommend speaking with your shop that will be calibrating your tune about your specific modifications and goals to ensure this is something that they could properly tune for. I want to purchase this as well as the Pypes Mid-Muffler True Dual Exhaust. Will i need to get a custom tune if I do end up getting the True-Duel exhaust? Or will the tune that comes with it work? The tune with the Procharger Stage II Intercooled Supercharger System will have no issues with the True dual exhaust. Can I install a Airaid MXP series CAI W/ synthaflow oiled filter and a 93 race tune with this? 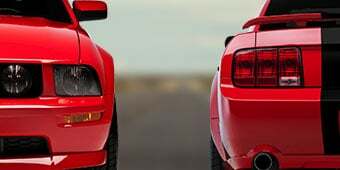 The Procharger Stage II Intercooled Supercharger System will not use any CAI designed for the Mustang as the CAI has moved from the throttle body to the Supercharger, necessitating different lengths and bends to fit. At this time, BAMA does not tune for aftermarket superchargers. Unfortunately the Procharger Stage II Intercooled Supercharger System has not been tested or approved by the California Air Resource Board (CARB) meaning it is not legal for use upon highway in the state of California. Can you put this in an automatic? The Procharger Stage II Intercooled Supercharger System will work with both automatic and manual transmissions. 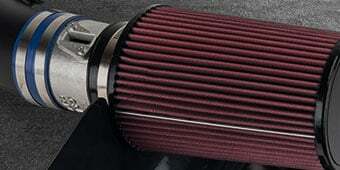 The Procharger Stage II Intercooled Supercharger System does not require that the stage 1 be installed prior. This Procharger is ready to run right out of the box, and additional components are not required. 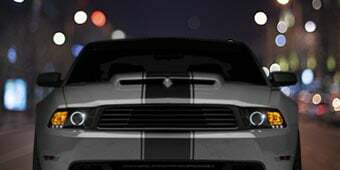 There are a very components that we would recommend for your vehicle such as a new oil pump, an upgraded clutch if applicable, and depending on the use of your Mustang, some cooling upgrades, such as a high capacity radiator, high-flow fans would also be recommended. This will fit both automatic and manual transmissions. As far as exhaust, I think for both sound and power it would benefit you to purchase our true dual exhaust system and give that exhaust more room to breath. As for sound, personally I am a fan of the Flowmaster mufflers, but honestly I tell people to let youtube decide for you, at least the best it can. When it comes to sound finding other videos (and we supply a few ourselves) of what the exhaust sounds like can help decide what you like. Just keep in mind what it sounds like on a stock V6 and a supercharged V6 will be a bit different. As far as brakes, anything to upgrade them. Something like the Powerstop Z26 (item #102262) or a Hawk Performance kit with the 5.0 brake pads (item #393768) would do the trick. 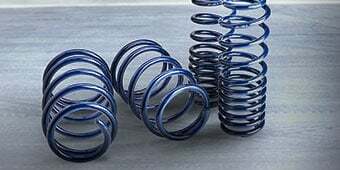 Suspension wise, I would at least start with control arms for wheel-hop's sake, and some sway bars to keep everything nice and tight. And as far as wheels and tires, wheels don't really matter, but you want something super fat in the back, in the 275-305 range depending on if you have it lowered or not. But having fat rear tires helps those tires stick to the ground once you press down on the gas. Front you don't really have to worry about. 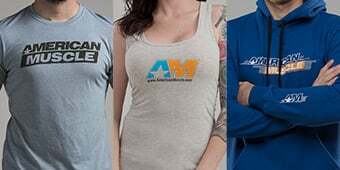 There is nothing else you will need to purchase. The Procharger Stage II Intercooled Supercharger System comes with every single piece you will need for installation to get your pony to put some serious power to the ground! Hi,Your 05-10 V6 stock auto or manual transmission will hold the power this Procharger Stage II Intercooled Supercharger System puts out if they are well serviced, the rear end i do not believe will hold I suggest swapping your rear end to a GT's 8.8. You would not need to purchase fuel injectors separately as this kit would include 39lb fuel injectors for the kit to install on your Mustang. This product cannot be modified for legal use in California as it is not CARB certified. CARB regulations only apply to residents of California and other states that have adopted these laws. Bama does not tune for aftermarket boost. 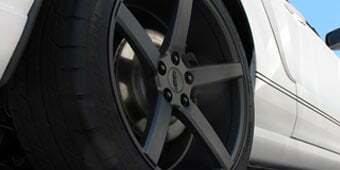 Brenspeed and VMP are two options we offer that do tune for aftermarket boosted applications. Its much faster than it was stock. The shop that installed it had to manufacture a few brackets other than that the kit was complete. This supercharger kit is incredible! I've been saving for over a year to get it and I finally got my hands on it and installed it over a weekend. The instructions were pretty clear, although there were some typos here and there; nothing that you can't figure out. Some of the fitment is tight, I suppose it depends on your car and what mods you've done to it; however, some of the intercooler tubing was hard to make fit and required a lot of wiggling, squirming, and swearing. Once installed, the first thing you'll notice is the sound. Even with a decently loud exhaust setup, the whirring from the centrifugal supercharger is pretty loud; it drowns out your exhaust while you're driving at low RPM so if you're driving around town, be prepared to get a few looks from how interesting your car now sounds. The BOV sounds exactly as you'd expect; however, I would recommend installing or retrofitting some sort of cover for it as it's pretty exposed behind the driver's side of the front bumper. Any sort of water can splash up there and cover the filter in water and have it get sucked into the engine. As for the performance, the car performs very nicely. Being a V6 lover, I've always been left somewhat underwhelmed since the car looks and sounds fast but isn't actually very fast. This supercharger has changed that. The car now has incredible power gains, so much so that the tires actually smoke between gears at WOT. I've only driven a day with it but I can already tell that this is going to bring me a lot of joy every time I take it out to drive. The only issue I see right now is that the car redlines a bit with the provided tune. I plan to get a tune in the future to get a bit more power out of the setup and adjust the shift points but as for my first impression, I would highly recommend this procharger kit for any V6 owner looking to beef up the performance of their Stang. The kit itself is reasonably priced and the installation is not too difficult if you have the proper tools. I'll update this review once I have more experience with this kit. I llove the procharger stage two kit. It came 100 complete with EVERYTHING!!. The car truly kicks me In the backseat at the top of first and the power is pretty consistent after that. Reminds me almost of a Turbo when it finally spools you're just along for the ride. Also my daily driver. Procharger....What more can be said. A awesome company that puts out a totally complete product. The box came complete with everything that was needed for install and with excellant instructions too! The product installed easily and the included tune worked perfectly. Procharger definitely did its homework and produced an excellant product. The car rocks!! The power is so nice and pulls hard but not violent. it is unbelievable that it is a 6 cylinder and not a big v-8. I would recommend a Procharger to anyone that is looking to upgrade their car for superb performance! I wrote an initial review based on the ProCharger tune that came with the kit. Since then I now have a custom tune and it makes a huge difference. The car responds immediately to the throttle and shifts as expected. I can mash the gas and don't have to worry about red lining, etc. The ProCharger is certainly meeting my expectations now and I'm very pleased with the results. I'm a very happy customer. I installed this myself with the help of a friend. It took us about 16-18 hours. The installation guide was very nicely written. I'm still dealing with some startup issues. My car has 3.73 gears which I outlined on my submission form, but the tune didn't come standard with that as the default gear ratio. I adjusted the tune for 3.73's and it started throwing a P061B code. I put the original tune back and waiting to see if I get any codes. I'm scheduling a custom tune to hopefully get better results. I have an automatic and the car is not shifting as expected. Under moderate to heavy throttle it nearly redlines and I have to bump the gas to get it to shift. Looks like some adjustments need to be made to the shift points. The car performs pretty nicely if I switch to manually upshifting instead of letting the auto take control. My overall impression is still mixed. I was expecting a bit more power and performance.